The world of financial planning and advisory can be an intimidating one to foray into. With much criticism on unethical practices by financial advisors here, we exercise extra caution for fear that we’ll fall prey to a bad apple. What makes a good financial advisor? Would it be someone who invokes confidence and trust? Sure, you’d need someone you can trust and be confident in their recommendations, or else you’ll find yourself feeling stressed or nervous after meeting your advisor. What about someone who is able to take a holistic view of your finances? While selling you the product you need, they should also take into consideration your full financial situation. 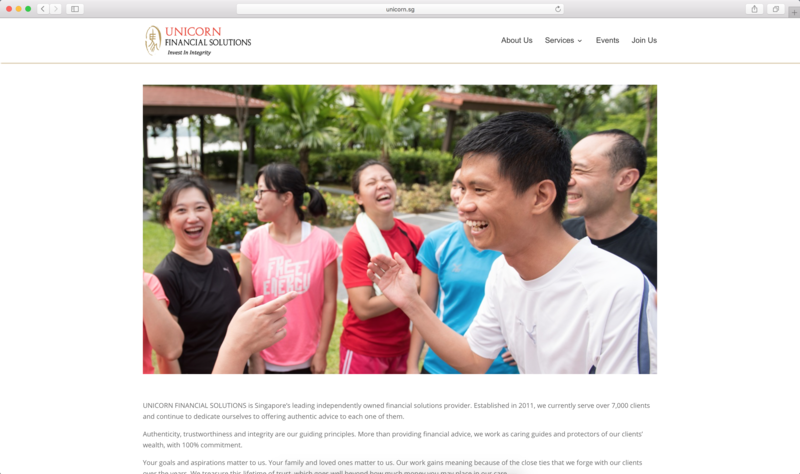 The team behind Unicorn Financial Solutions, a financial advisory firm, is one that prides herself on providing bespoke advice to clients based on the respective stages of life they are in and taking into consideration the things that matter to them. They do not believe solely in an advisor-client relationship; instead, they aim to form long term relationships with their clients, treating them as family and participating in recreational events together. The Redbrick Team (RB): Introduce Unicorn to us in 15 words or less! Kek Wee (KW): Unicorn financial advisers craft holistic financial plans that are unique for each of our clients. RB: Why the name “Unicorn”? KW: The Unicorn is a mythical creature that represents purity and integrity, which are guiding principles for Unicorn’s financial practice. The Unicorn is also noted for warm-hearted and compassionate helpfulness. RB: What are your core values? KW: Authenticity, trustworthiness and integrity are our guiding principles. More than providing financial advice, we work as caring guides and protectors of our clients’ wealth, with 100% commitment. RB: Tell us more about the design of the Unicorn logo. What does it symbolise? KW: Our logo is in the style of a Chinese seal, reflecting our cultural roots in Confucian philosophy. The character of the horse within the seal has been adapted to represent a Unicorn. RB: What kind of services does Unicorn provide? KW: We use our expertise to help clients plan and prepare for life events such as marriage, starting a family, educational needs, medical requirements, property purchases, retirement and estate planning. We use insurance products and investing products and methodologies to create holistic financial plans for our clients that take care of their wealth protection, wealth accumulation and income generating needs. RB: We’ve heard that Unicorn helps customers with financial planning based closely on their personalities and personal financial portfolios. Could you elaborate more about this? KW: Unicorn provides each of our clients with unique and authentic financial solutions and plans. We enter into our relationships with our clients on the basis that we wish to serve them for the long term and to help each client achieve his or her own individual goals and dreams. We can do this because we have a passion for knowing and understanding our clients. This means that we spend a lot of time getting to know each of our clients. We feel so privileged to be able to share in all of these wonderful people’s life journeys – it really is like being a part of a big happy family! RB: What is your priority when serving clients? KW: Our priority is to understand each client’s financial situation, personal circumstances, hopes and dreams as thoroughly as possible so that we can build the most appropriate financial plan for them. It is also key for us to continue to work closely with our clients to update and adapt their plans as they progress on their journey to financial independence. RB: How to you profile customers? KW: We help individuals to understand their responsibilities for themselves and their dependents, and then assist them with a plan tailor-made for their particular needs. It is usually individuals who are making good progress in their chosen careers but who lack the time and the detailed knowledge of available financial products and services who are most keen for trustworthy ongoing personal advice with the authenticity that Unicorn provides. RB: Tell us more about Unicorn Intelligent Investing Services (UIIS). KW: Unicorn Intelligent Investing Services is our investing practice, which is an essential and complimentary service to the authentic financial plans that we craft for our clients – because intelligent investing is necessary to generate wealth for a life of financial independence. Our investing philosophy and discipline is that of value investing as championed by Warren Buffet. We invest in a range of asset classes, including equities, ETFs, bonds, currencies and precious metals, following a structured methodology of asset allocation that considers long term macro-economic trends. RB: What sets Unicorn apart from its competitors? KW: Unicorn’s holistic understanding of each of our clients lives is what sets us apart. With this holistic care and understanding, we focus on each of our clients unique and authentic financial planning needs for their lifetime. This genuine long term commitment to help our clients live their best lives is a privilege that we enjoy every day. 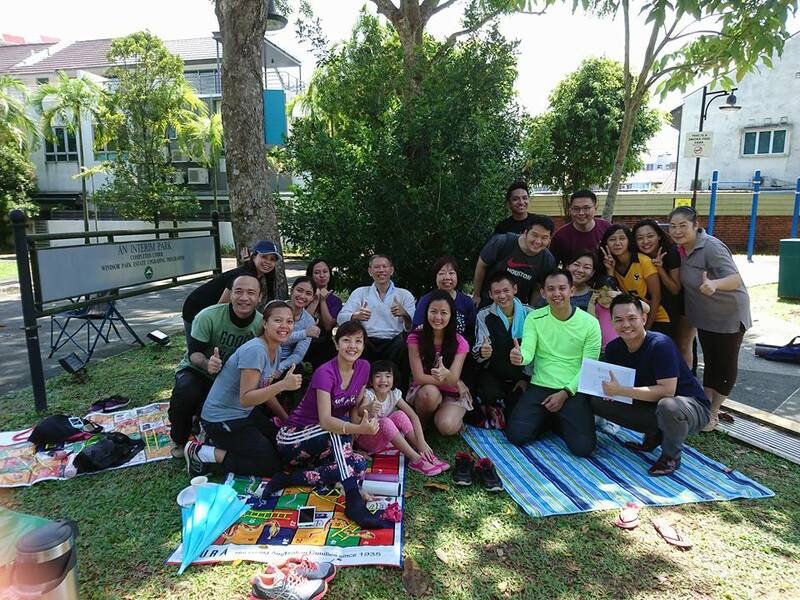 RB: We understand that you organise health & wellness activities with your clients. Why is this so? KW: At Unicorn we understand a balanced life in terms of health, wealth and relationships. These elements need to be in balance for anyone to live authentically and well. RB: What other events do you organise for your clients? Why do you do it? KW: Since our aim for everyone in the Unicorn family to live a happy, well balanced life, we organise sports, creative activities, family activities and health services for everyone to enjoy and enhance their day to day experience. 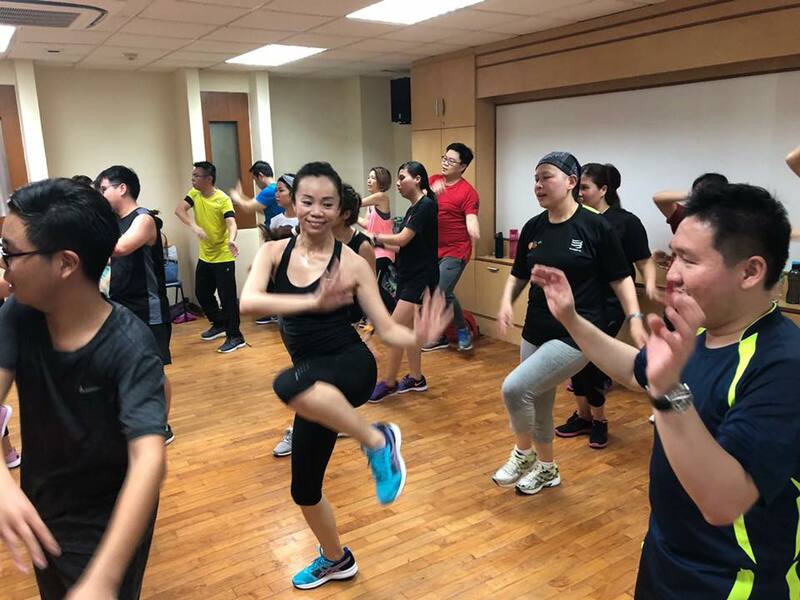 Recent events include K-Pop/Zumba dance class, Craft workshops, a Cocktail networking evening and a Steamboat night out as well as Colouring and Easter Egg decorating competitions for children. RB: What is your commitment to your clients? KW: Unicorn is dedicated to offering authentic advice to each of our clients. We put trustworthiness and integrity above everything else. We aim to earn the trust of clients to serve them over the very long term. RB: Tell us more about the company’s property portfolio. KW: Regulations currently constrain our ability to advise clients on property investment. However our plans often address the affordability of property in a client’s overall asset collection. Unicorn believes strongly in the benefits of property ownership over the long-term. We own our own office premises so that we can be confident of serving clients over the long-term, free of worries over rises in rentals. Kek Wee and the Unicorn team will be joining us at Property Quotient – A new look at real estate. To find out more about the event, click here. The post Conversations with: Seow Kek Wee, Head of Investment, Unicorn Financial Solutions appeared first on Redbrick Mortgage Advisory.